Draped languidly across the equator, Indonesia is a series of emerald jewels scattered across a broad expanse of tropical sea. This is one of the world’s great adventures in waiting – hidden away in dense jungles on secret islands are tribes almost untouched by the outside world and animals hardly known to science. The third most populous nation on earth has an incredible legacy of peoples, cultures and geography just waiting to be explored. The archipelago boasts more than 18,000 islands, from tiny islets not much bigger than a palm tree to the mighty expanse of Borneo, shared with the Malaysian provinces of Sabah and Sarawak and the kingdom of Brunei. Many come specifically to discover their own island paradise, complete with white-sand beaches, swaying palms and emerald waters. Offshore are some of the world’s best dive sites, swarming with huge sunfish, giant rays, sharks, porpoises, turtles and a blindingly colourful array of tropical fish. For others, the attraction is cultural. A fascinating range of civilisations have grown up on these tropical islands, from animist tribes in remote jungle villages to the elaborate Hindu kingdoms of Bali and Java. In Indonesia, timeless temples jostle for space with golden-domed mosques and beach resorts crowded with sun-seekers and surfers. The surf resort of Kuta has become one of the world’s favourite tropical escapes, and the beach party raves through till dawn every day of the week. For some, Kuta is the very vision of Asia. For others, the true escapes lie elsewhere, on the volcanic islands that drift eastwards towards Australia. Here are towering volcanoes to be climbed, national parks to be explored and tropical rainforests to be trekked. You might even get lucky and meet an orang-utan on Sumatra or the world’s largest living reptile on the island of Komodo, home to the eponymous Komodo dragon. Best of all, flights and ferries link all of the islands, so you can island-hop right across the archipelago, stopping only when you find your own perfect piece of Southeast Asia. 1,922,570 million sq km (742,308 sq miles). President Joko Widodo since 2014. These are exclusion zones put in place by the local authorities due to ongoing volcanic activity. If you’re in either exclusion zone, you should leave immediately. General elections were held in Indonesia on 17 April 2019 with official results set to be announced on 22 May 2019. You should avoid all protests, demonstrations and political rallies as there’s a risk of violence. There are many active volcanoes in Indonesia, any of which can erupt with little or no warning. This often results in the evacuation of villages within a 3 to 7 kilometre radius and disruption to air travel in the wider region. In the past, repeated eruptions have caused destruction and fatalities. Check media reports before travelling to areas that are prone to volcanic activity. The local alert level may change at short notice. Take extra care and follow the advice of local authorities, including respecting any exclusion zones. A number of areas across Indonesia, including in Central Sulawesi, Lombok and the Sunda Strait, are continuing to recover from the impact of earthquakes and/or tsunamis in 2018. If you’re travelling to affected areas, you should exercise caution, particularly around damaged buildings and the most affected areas. Terrorists are very likely to try to carry out attacks in Indonesia. Terrorist groups continue to plan attacks and have the capacity and intent to carry out these attacks at anytime and anywhere in the country. Types of attacks have included suicide bombing and small-arms fire, targeting public and crowded places. Be vigilant and take care at all times. On 13 May 2018 there were explosions outside 3 churches in Surabaya in East Java, and on 14 May there was an explosion at a security post of the city’s police headquarters. Both of these incidents resulted in a number of deaths and casualties. 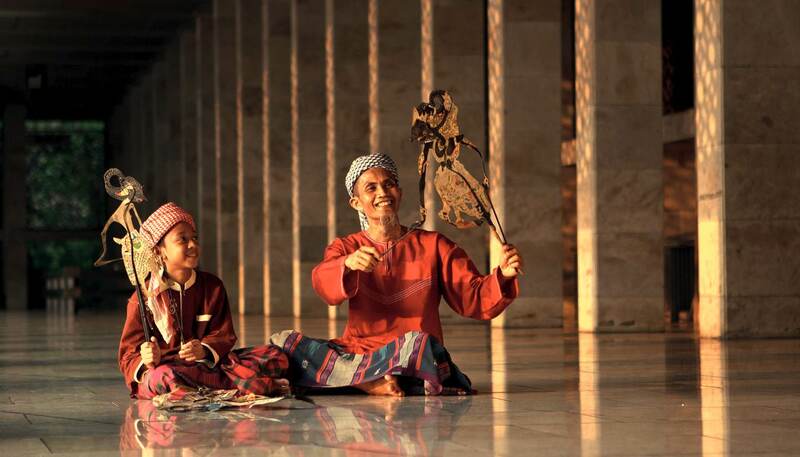 Around 390,000 British nationals visit Indonesia every year. Most visits are trouble free. UK health authorities have classified Indonesia as having a risk of Zika virus transmission. 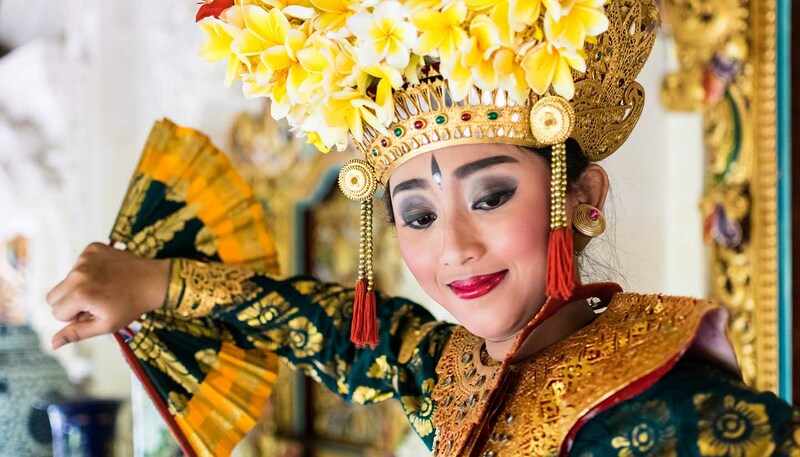 For more information and advice visit the National Travel Health Network and Centre website for travel to Indonesia - including Bali, for travel to Indonesia - Borneo. In February 2019 the Global Polio Eradication Initiative reported two cases of genetically linked circulating vaccine derived polio virus (cVDPV) type 1 in Papua Province, Indonesia. This factsheet on the TravelHealthPro website contains information about the Polio outbreak and vaccination recommendations. Possession, trafficking and manufacture of drugs are serious offences in Indonesia. Some offences carry the death penalty. Don’t get involved. There have been a number of deaths and cases of serious illness of tourists in Indonesia, caused by drinking alcoholic drinks contaminated with methanol. If you’re abroad and you need emergency help from the UK government, contact the nearest British embassy, consulate or high commission. Consular support may be limited in parts of Indonesia given the size of the country and the remoteness of some areas. To contact the emergency services call 111 or 112 (police), 118 or 119 (ambulance and rescue) or 113 (fire). To contact the tourist police in Bali call 0361 7540599 or 0361 224111. To contact the tourist police in Jakarta call 021 526 4073. Be aware of the risk of street crime and pick-pocketing, particularly in busy tourist areas in Bali, where there have been reports of bag-snatching. Take sensible measures to protect yourself and your belongings. Avoid having bags obviously on show and carry only essential items. Take particular care of your passport and bank cards and avoid travelling around alone. Credit card fraud is common. Don’t lose sight of your card during transactions. Criminals sometimes place a fake telephone number on ATMs advising customers to report problems. Customers dialling the number are asked for their PIN and their card is then retained within the machine. Beware of thieves on public transport. If you’re travelling by car keep doors locked at all times. Only book taxis with a reputable firm. You can ask your hotel to book one for you, or use taxis from Bluebird, Silverbird or Express groups. These are widely available at hotels and shopping malls in central Jakarta and at Soekarno-Hatta International Airport. Take care to distinguish Bluebird and Silverbird vehicles from ‘lookalike’ competitors. Don’t use unlicensed taxi drivers at the airport or anywhere else. Their vehicles are usually in poor condition, unmetered and don’t have a dashboard identity licence. They have been known to charge extortionate fares and to rob passengers. Drinks served in bars can be stronger than those in the UK. In some cases, over drinking and taking drugs has resulted in accidents, injuries, robbery, assaults and lost travel documents and some British nationals have suffered psychiatric problems caused by alcohol, drugs and a lack of sleep. You should drink responsibly and be aware of your limits. There have been reports of sexual assaults and drink spiking in Bali, Lombok and the Gili Islands. Make sure drinks are prepared in your sight and be careful about accepting drinks from strangers at clubs and parties, or leaving drinks unattended. Tourists have also been robbed after taking visitors to their hotel rooms, and in some cases have found that their drinks were drugged. There have been a number of deaths and cases of serious illness of locals and foreigners in Indonesia caused by drinking alcoholic drinks contaminated with methanol. These cases have occurred in bars, shops and hotels in popular tourist areas like Bali, Lombok, the Gili Islands and Sumatra. Criminal gangs have been reported to manufacture counterfeit replicas of well-known brands of alcohol containing high amounts of methanol. Take extreme care when buying spirit-based drinks, as bottles may appear to be genuine when they’re not. There have also been cases of methanol poisoning from drinking adulterated arak/arrack, a local rice or palm liquor. If you or someone you’re travelling with show signs of alcohol induced methanol poisoning or drink-spiking, seek immediate medical attention. Use a reliable and reputable guide for any adventure trips, otherwise you may have difficulties with local authorities if you need their help. For longer journeys, notify friends of your travel plans, contact them on arrival and where possible travel in convoy/with others. Always carry a reliable means of communication with you. The political situation in Central Sulawesi Province is unsettled. Take particular care in Palu, Poso and Tentena and be alert to the potential for politically-motivated violence. Maluku Province has experienced unrest and violence between different religious and tribal groups. Take particular care in Ambon, including Haruku Island (Pulau Haruku). Aceh has emerged from a long period of internal conflict. Although violence against foreigners is rare, a British national was abducted in June 2013 and there were three separate incidents in November 2009 targeting foreigners. There have been reports of Shari’a (religious) police harassing foreigners. Be alert to the risk of politically-motivated violence and take particular care in remote areas. Sharia law is in force, visitors should be particularly careful not to offend local religious sensitivities (eg not drinking alcohol, not gambling, avoid wearing tight fitting or revealing clothing). Keep up to date with local developments and avoid large crowds, especially political rallies. Political tensions in Papua province have given rise to occasional violence and armed attacks between Free Papua Movement (OPM) and the Indonesian authorities, particularly in the Central Highlands area around Puncak Jaya (including Wamena), but also including in Jayapura, Abepura, and Sentani on the north coast, and Timika town on the south coast. Clashes in previous years have at times resulted in civilian deaths. If you’re travelling in the region, you should exercise extreme caution. Papuan separatists have kidnapped foreigners in the past. There is a heavy security presence in some areas, especially along the border with Papua New Guinea. Political tensions have also given rise to occasional mass demonstrations in cities in Papua. Should you need medical attention, there are limited hospital facilities in Papua and West Papua provinces and the likely destination for a medical emergency is Darwin, Australia. The situation in West Papua province is calmer although there remains the possibility of unrest. Monitor the situation and be alert to changing circumstances. You can’t drive in Indonesia using a UK driving licence. You can drive using an International Driving Permit issued in Indonesia. International Driving Permits issued in the UK may need to be endorsed by the Indonesian licensing office in Jakarta. Before driving, riding or hiring any type of vehicle, ensure that you have the appropriate licence to do so, and check with your travel insurance company to confirm that you’re covered. Traffic discipline is very poor. Foreigners involved in even minor traffic violations or accidents may be vulnerable to exploitation. Consider employing a private driver or hiring a car with a driver. Some multinational companies don’t allow their expatriate staff to drive in Indonesia. Make sure you wear a helmet if you’re riding a motorbike or moped. If you’re involved in an accident or breakdown, make sure someone remains with your vehicle. If you have any concerns for your security, move to another location safely. You should make yourself available for questioning by the police if requested to do so. The FCO can’t offer advice on the safety of individual airlines, but the International Air Transport Association publishes a list of registered airlines that have been audited and found to meet a number of operational safety standards and recommended practices. This list is not exhaustive and the absence of an airline from this list doesn’t necessarily mean that it is unsafe. On 29 October 2018, a Lion Air domestic flight from Jakarta to Pangkal Pinang crashed into the Kawarang Sea shortly after take-off. There were no survivors and an investigation is underway to determine the cause of the crash. Travelling by boat or ferry can be dangerous as the sea conditions can change rapidly, vessels can be crowded, overloaded, poorly maintained and safety standards vary between providers. In 2017, the Indonesian Search and Rescue Agency recorded 1,687 boat accidents (of which 76 were in Bali and Lombok), resulting in many injuries and 680 deaths. Make sure you’re satisfied with safety standards before travelling, including availability of safety equipment and life-jackets. Life-jackets suitable for children aren’t always available and you should consider bringing your own. Avoid travelling after dark unless you’re satisfied the vessel is suitably equipped. There have been attacks against ships in and around the waters of Indonesia. Mariners should be vigilant, reduce opportunities for theft, establish secure areas on board and report all incidents to the coastal and flag state authorities. The overall political situation is stable, but internal developments, such as elections, and external developments, including in the Middle East, can trigger public protests or unrest. You should avoid all protests, demonstrations and political rallies as they could turn violent with little notice. Terrorists are very likely to try to carry out attacks in Indonesia. Terrorist groups have the capacity and intent to carry out attacks at anytime and anywhere in the country. Types of attacks have included suicide bombings and small-arms fire, targeting public and crowded places. The threat from Islamist extremism remains high, though the Indonesian authorities continue to disrupt attack planning, including arresting alleged terrorists reportedly in the advanced stages of preparation. On 14 May 2018 there was an explosion at a security post of police headquarters in Surabaya, causing a number of deaths and casualties. On 13 May 2018 there were explosions at three churches in Surabaya in East Java causing a number of deaths and casualties. On 24 May 2017 there were bomb explosions at the Kampung Melayu bus station in east Jakarta. Three police officers were killed. On 14 January 2016 a terrorist attack took place near the Sari Pan Pacific Hotel and Sarinah Plaza on Jalan M.H. Thamrin in central Jakarta. The attack included a number of explosions and gun battles. Eight people died and a number were injured, including foreigners. Small-scale attacks occur on a regular basis and further incidents are likely. Attacks could be indiscriminate, including in places frequented by foreigners. Beach resorts, bars and restaurants, hotels, markets, shopping malls hosting major international brand outlets, tourist attractions, places of worship, foreign embassies, polling stations, ferry terminals and airports are all potential targets. Indonesian government, law enforcement interests and places of worship are regularly targeted by extremists. Western interests are also at risk. Be vigilant and take care at all times. You should regularly review your security arrangements and be particularly vigilant during holiday periods including the Christmas and New Year period, Chinese New Year, Nyepi (Balinese New Year), Easter, Ramadan, local elections and Independence Day (17 August) which can be a time of heightened tension and increased risk. There is a risk of kidnapping at sea in and around the waters of Indonesia. This risk is higher in the Sulu and Celebes seas. You should respect local traditions, customs, laws and religions at all times and be aware of your actions to ensure that they do not offend, especially during the holy month of Ramadan or if you intend to visit religious areas. Ensure that you wear appropriate clothing while visiting religious areas or sites. In 2019, the holy month of Ramadan is expected to start on 6 May and finish on 3 June. Don’t get involved with illegal drugs. Possession, trafficking and manufacture of any illegal drugs are serious offences in Indonesia. The Indonesian authorities have a zero-tolerance policy and those caught face lengthy prison sentences or the death penalty, usually after a protracted and expensive legal process. British nationals have been caught and jailed for drug offences in Indonesia. Police often raid venues (particularly in Bali) known to be frequented by foreigners. You may have to take a urine or blood test if there is a reasonable suspicion that drugs have been used. Criminal gangs in the UK and elsewhere are known to coerce people into carrying drugs across borders. Don’t allow yourself to be persuaded. It’s illegal to buy, sell, kill or capture any protected wild animal or trade its parts without a license. Indonesia is a signatory to the Convention on International Trade in Endangered Species of Wild Fauna and Flora (CITES), which includes bans on trade in ivory and tiger parts. If you’re caught purchasing or trafficking illegal goods you’ll be prosecuted and could receive a prison sentence and fine. 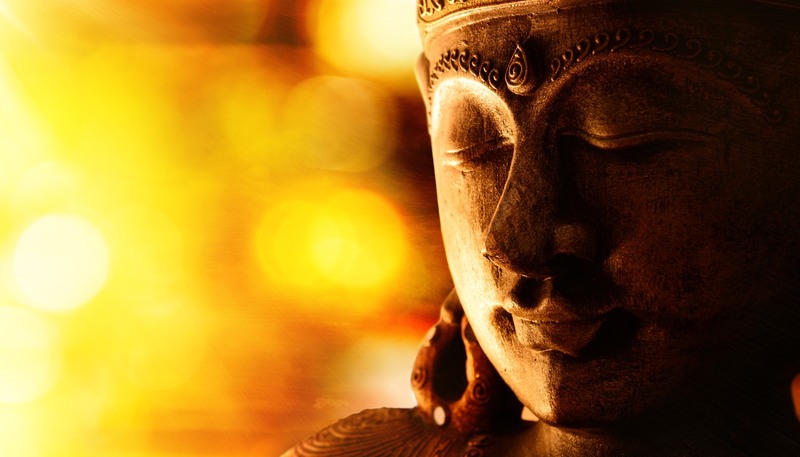 During Balinese New Year, known as Nyepi, local custom requires that all people in Bali observe a day of silence by staying indoors, turning off lights, and making no noise. Ngurah Rai International Airport is closed for the entire day. However, emergency services and hospitals are allowed to operate. Gambling is illegal in Indonesia. There have been cases where tourists have lost large amounts of money to organised gambling gangs. You must be able to show your valid travel document (passport) or stay permit (eg KITAS or KITAP) at any time when required to do so by an active immigration officer. If you’re travelling on a British Citizen passport, you don’t need a visa to enter Indonesia for visits of up to 30 days, calculated to include your date of arrival and date of departure. Visa-free visits can’t be extended or transferred to another type of visa. For a list of airports, seaports and land border crossings for entering/exiting Indonesia under this visa waiver scheme, and more information about entry requirements, visit the website of the Indonesian Embassy in London or your nearest Indonesian embassy. If you’re travelling to Indonesia and intend to stay for more than 30 days (up to a maximum of 60 days), you should apply for a visa before you travel, or apply for a visa on arrival at a cost of US$35, or the equivalent in Indonesian rupiah, at the visa on arrival desk within the airport. These types of visa are valid for 30 days, and can be extended once (for a maximum of 30 days) by making an application for an extension to an immigration office within Indonesia. Ensure that you extend your visa within the initial 30 days to avoid an overstay fine. 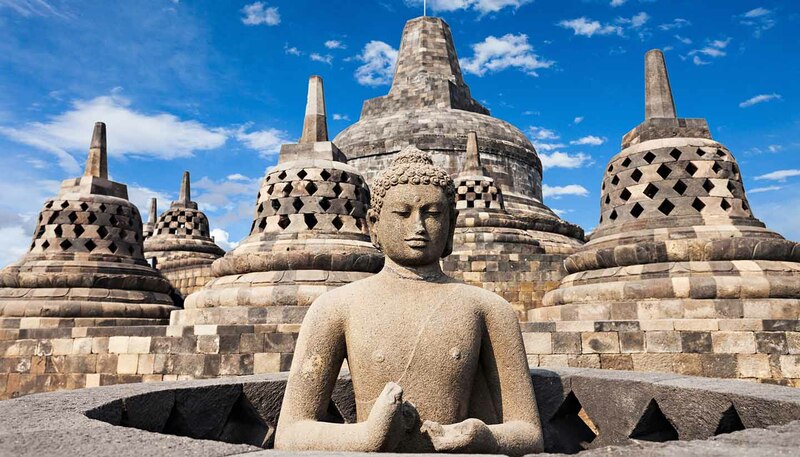 The Indonesian embassy has introduced a new e-visa system. You should submit your visa application online. The embassy will no longer accept a handwritten visa application form unless you’re a British Overseas Territories citizen, British National (Overseas), or if you’re applying for a diplomatic visa. If you fall into this category you should send a written request to obtain the visa form at: consular@indonesianembassy.org. The visa waiver scheme and visas on arrival aren’t available if you’re travelling on a British Overseas Citizen, British Subject, British National (Overseas) or British Overseas Territory citizen passport. Instead, you must apply for a visa before you travel. These options are also not available if you’re travelling to Indonesia for journalistic purposes. Instead, you must apply for a visa before you travel, and should make sure that you have the correct permits for local travel within Indonesia as some areas may require special permits in addition to your visa. You should seek advice from your nearest Indonesian Embassy. Your passport should be valid for a minimum period of 6 months from the date of your departure from Indonesia. Indonesian law doesn’t allow dual nationality for adults over 18 years of age. If you’re a British national who has retained Indonesian nationality, you may experience immigration difficulties in Indonesia. UK Emergency Travel Documents (ETDs) are accepted for entry, airside transit and exit from Indonesia. If you’re entering Indonesia using an ETD you must apply for a visit visa before travelling. You won’t be able to get a visa on arrival. The processing time for an Indonesian visa can vary depending on where you apply. Some Indonesian embassies don’t issue Indonesian visas in ETDs. Contact your nearest Indonesian Embassy to check before you apply. Entry requirements may differ if you live in Indonesia. Contact your nearest Indonesian Embassy to confirm whether you need to apply for a visit visa before you travel to Indonesia using an ETD. If you apply for an ETD whilst in Indonesia, you may need to get an exit permit from Immigration to leave the country. We will advise you to contact the nearest Immigration office to check before travelling. Immigration officials in Indonesia may ask you for proof of onward travel (eg, a return or onward air ticket). You should make all reservations before leaving for Indonesia. Some airlines have refused to board passengers without evidence of onward travel. Airport tax is included in the cost your ticket for all domestic flights within Indonesia. For some international flights departing Indonesia, airport tax may not be included in the price of the ticket. Please check with your airline or travel agent before you travel. Overstaying without the proper authority is a serious matter and visitors can be held in detention or refused permission to leave the country until a fine of Rp. 300,000 per day is paid. After overstaying for 60 days, you will be detained and possibly imprisoned. If you stay in private accommodation in Indonesia (not a hotel) you must register your presence with the local police or you could face a fine of Rp 5 million. If you stay in a hotel you will be registered automatically. If you bring any prescription medication into Indonesia, make sure you have a copy of the prescription with you. The prescription must cover the quantity of medication you bring. Be aware that some prescription or other medication available in the UK, including some psychotropic medicines, may be illegal in Indonesia. If you’re unsure, speak to your doctor and the Indonesian Embassy for advice before you travel. Indonesia sits along a volatile seismic strip called the ‘Ring of Fire’ in the Pacific. Volcanic eruptions and earthquakes occur regularly, which can present a potential threat of tsunamis. The capacity of the Indonesian emergency and rescue services to deal with large natural disasters is limited. If a major earthquake or landslide occurs close to shore, you should follow the instructions of local authorities, bearing in mind that a tsunami could arrive within minutes. The Indonesia Tsunami Early Warning Centre issues tsunami warnings when a potential tsunami with significant impact is imminent or expected. On Saturday 22 December 2018, volcanic activity caused a tsunami that affected the coastline around the Sunda Strait which lies between Western Java and the South of Sumatra causing significant damage, loss of life and casualties. The Mount Anak Krakatau volcano, located off the coast close to the affected areas, remains active. On 28 September 2018, a 7.4 magnitude earthquake and tsunami hit Central Sulawesi on 28 September 2018, affecting the Donggala, Palu, Sigi and Parigi Moutong regions and causing significant loss of life, casualties and widespread damage. It remains an area significantly affected by disaster but recovery is ongoing and basic infrastructure has been restored in most parts. Commercial flights are running to and from Palu Mutiara Airport. In July and August 2018, the north-east of the island of Lombok experienced a series of significant earthquakes followed by many aftershocks in the same area. The earthquakes killed over 500 people and caused significant damage to buildings and infrastructure in north and west Lombok. The Gili Islands (Gili Trewangan, Gili Meno and Gili Air) were also significantly affected by the earthquakes but have recovered rapidly, with utilities and transport connections restored. The FCO no longer advise against all but essential travel to these areas. However, if travelling to Central Sulawesi, Lombok or the islands you should exercise caution, particularly around damaged buildings and the most affected areas. Information and advice on safety considerations in an active earthquake zone is available from the International Rescue Corps. There are many active volcanoes in Indonesia, any of which can erupt without warning resulting in the evacuation of villages within a 3 to 7 kilometre radius. In the past, repeated eruptions have caused destruction and fatalities. Check media reports before travelling to areas that are prone to volcanic activity. Take extra care and follow the advice of the local authorities, including respecting any exclusion zones. During previous eruptions, areas beyond local exclusion zones have been affected by mud/debris flows (particularly in valleys) and volcanic ash falls. While near any volcano, you should therefore monitor local media, exercise caution and follow the advice of the local authorities, including any evacuation orders. Ash clouds can affect flight schedules and the operation of regional airports. Check with your airline or travel company for the latest information. If you’re travelling to areas of Indonesia where volcanic activity is ongoing, you should be aware that ash plumes can affect air quality and have an impact on health. Public Health England (PHE) advise that a properly fitted face mask may provide some protection. While masks should be available in Indonesia, you may choose to buy your own before you travel. PHE recommend masks that comply with EU standards P2 or P3 or the US standards N95 or N98. You should make sure that your mask fits your face and you know how to wear it properly. If you have any pre-existing respiratory conditions, such as asthma, be aware that you might be at increased risk of triggering or worsening your symptoms. Make sure you travel with sufficient supplies of any regular medicines to cater for this. In the event of a major eruption, areas outside of exclusion zones may be subject to increased levels of particulate and gaseous pollutants in the air. Face masks only offer protection against small particulate matter; they don’t protect against hazardous gases emitted by a volcano. Unless you’re advised to evacuate the area you’re in, the best way to reduce your exposure is to remain inside and close all doors and windows.Following eruptions in 2017 and 2018, some volcanoes continue to show signs of increased volcanic activity. The FCO advise against all travel to within 4 kilometres of the crater. This is an exclusion zone put into place by the local authorities. On 28 June 2018 Mount Agung in east Bali erupted, emitting gas and ash which resulted in the closure of Bali’s I Gusti Ngurah Rai Airport and a number of nearby regional airports for a period of time on 29 June 2018, causing flights to be cancelled and delayed. The alert level for Mount Agung remains at level 3 and there is a 4 kilometre exclusion zone around the crater. Travellers to Bali may find this information for travel during the volcanic activity useful. The authorities have indicated that Mount Agung continues to show signs of volcanic activity and the possibility of a volcanic eruption remains. The alert level for Mount Agung may change at short notice. Eruptions in late 2017 and June 2018 led to periodic closures at Bali and Lombok airports and disruption to flights in the region. Further disruption can’t be ruled out. The local authorities have indicated that Mount Agung continues to show signs of volcanic activity and the possibility of volcanic eruptions remains. The FCO advise against all travel to within 7km of the crater of Mount Sinabung in Kalo Regency, North Sumatra. This is an exclusion zone put into place by the local authorities. Mount Sinabung produced a large ash cloud on 19 February 2018. The Indonesian authorities have set an alert status of Level 4 (highest) and are maintaining a 7km exclusion zone around the volcano. The authorities have indicated that Mount Sinabung continues to show signs of volcanic activity and the possibility of a volcanic eruption remains, though more recent eruptions of Mount Sinabung have not significantly disrupted local travel in Sumatra. The alert level for Mount Sinabung may change at short notice. Large areas of the country, including parts of West Sumatra, Central, East and West Java and Jakarta have been severely affected by heavy rains and subsequent landslides and flooding in recent years. Throughout Indonesia flash floods and more widespread flooding occur regularly. Cities - especially Jakarta - often suffer severe localised flooding which can result in major traffic congestion, and occasionally deaths. The main toll road to Soekarno-Hatta international airport can be affected by flooding. Slips and landslides occur in mountainous and remote areas, but also in urban areas. Monitor local reporting and take care when driving and walking. Keep a stock of food and bottled water and make sure your phone is charged. The standard of local medical care can be poor and some medical tests can’t be done reliably. Psychological and psychiatric services are also limited throughout Indonesia. Good medical care can be very expensive and in remote areas attention for serious injuries or illness is likely to be unavailable. You may require expensive medical evacuation costing up to tens of thousands of pounds. Make sure you have adequate travel health insurance and accessible funds to cover the cost of any medical treatment abroad and repatriation. Air quality in Indonesia’s major cities can reach levels considered ‘unhealthy for sensitive groups’ or ‘unhealthy’. Current air quality data for Jakarta can be found on the Air Quality Index website. Tap water is not potable throughout Indonesia. Ash plumes from volcanoes can affect air quality and have an impact on health, particularly for anyone with pre-existing respiratory conditions. If you’re in the vicinity of a volcanic eruption and affected by subsequent ash fall, you can find further information in digital pamphlets issued by the International Volcanic Health Hazard Network (IVHHN), which cover the potential health hazards of volcanic ash and offer advice on how to prepare and cope with ash fall. During the dry season (May-November), widespread forest fires can cause smoke haze resulting in poor air quality across parts of Indonesia, particularly Riau Islands, central Sumatra and Kalimantan. The haze can cause disruption to local and regional air travel, and the air pollution may have an impact on public health. Keep up to date with local information and seek medical advice on appropriate precautions. A regional haze map is available from the Singapore Meteorological Service. There’s a risk of dengue fever in Bali, Jakarta and elsewhere in Indonesia which is particularly heightened during the rainy season (usually from around October to April). Rabies exists in domestic and wild animals. There are many street dogs in Bali and elsewhere. You should avoid direct contact with all dogs and cats (including pets), monkeys and other animals and seek immediate help if you’re bitten or scratched. If you need emergency medical assistance during your trip, dial 118 and ask for an ambulance. You should contact your insurance/medical assistance company promptly if you are referred to a medical facility for treatment. Avian flu has led to over 150 confirmed human fatalities in Indonesia since 2003, although the annual rate appears to be declining. All cases so far have been linked to close contact with poultry. Although the risk to humans from Avian Influenza is low, you should avoid visiting live animal markets, poultry farms and other places where you may come into close contact with domestic, caged or wild birds, and make sure poultry and egg dishes are thoroughly cooked.